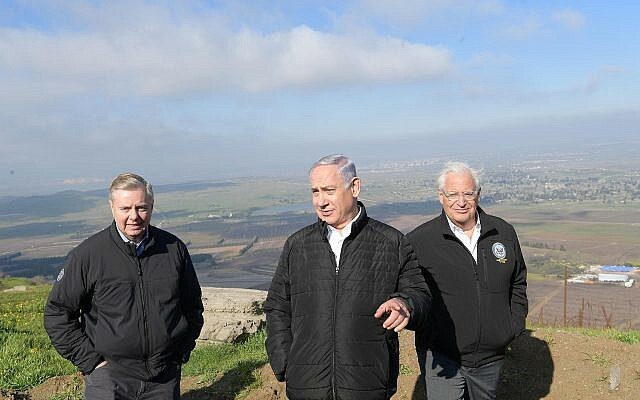 White House officials are currently drafting an official US declaration recognizing Israeli sovereignty over the Golan Heights, with President Donald Trump set to sign it when he hosts Prime Minister Benjamin Netanyahu in Washington next week, Israeli TV reports said Friday. The reports on channels 12 and 13 came a day after Trump tweeted that it was “time for the United States to fully recognize Israel’s Sovereignty over the Golan Heights,” upending decades of US policy on the matter. The move was seen as a potential major boon to the prime minister less than three weeks before a general election. And a signing ceremony with Trump in the White House would be an even greater boost for Netanyahu. But Trump has denied that his decision has anything to do with the Israeli elections. “I’ve been thinking about doing it for a long time,” he told Fox Business, comparing the move to his decision to move the US embassy to Jerusalem. “I wouldn’t even know about that. I wouldn’t even know about that,” he said when asked about the appearance of meddling in the Israeli election. “I have no idea. I hear he’s is doing okay. I don’t know if he’s doing great right now, but I hear he’s doing okay,” Trump said. “But I would imagine the other side whoever’s against him is also in favor of what I just did,” he added. Trump’s move was condemned strongly by Syria and its allies Russia and Iran, as well as by the president of Turkey. The European Union on Friday stressed that it would not change its position on the Golan and does not consider it a part of Israeli territory. 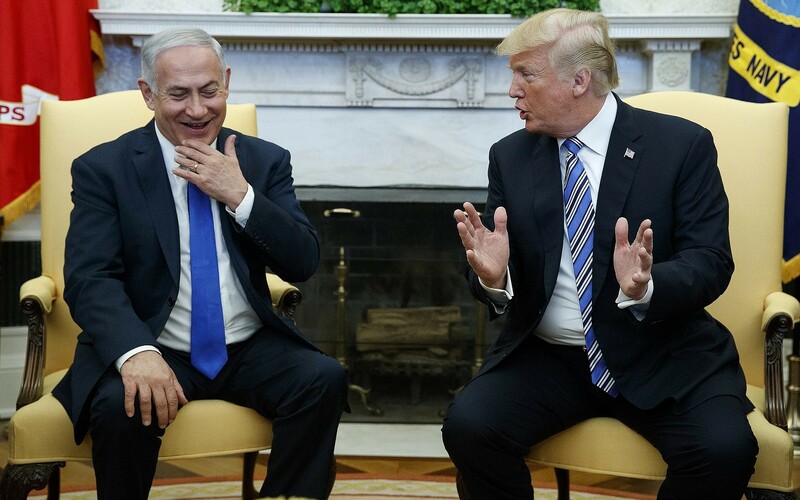 According to the report, Trump’s Middle East peace negotiators and the State Department were also surprised by the move, with US officials having expected an announcement when Trump hosts Netanyahu at the White House next week. Quoting unnamed White House officials, the news agency said Trump’s National Security Adviser John Bolton was a key force behind the move following his visit to Israel in January, seeing it as a signal the US remained committed to Israel in the wake of Trump’s announcement of a US troop pullout from Syria. This entry was posted on March 23, 2019 at 5:57 AM and is filed under Uncategorized. You can subscribe via RSS 2.0 feed to this post's comments. You can skip to the end and leave a response. Pinging is currently not allowed.